The Province of Alberta is currently dealing with a fiscal shortfall resulting from an over-reliance on natural resources revenues in funding core services such as health care, education, social services, and public infrastructure. This report shows that Alberta’s budget difficulties are not related to over-spending, and therefore cannot be addressed by austerity measures. The report also shows that continued over-reliance upon natural resources royalties subjects Albertans to the economic volatility and long-term unsustainability inherent in oil and gas revenues. 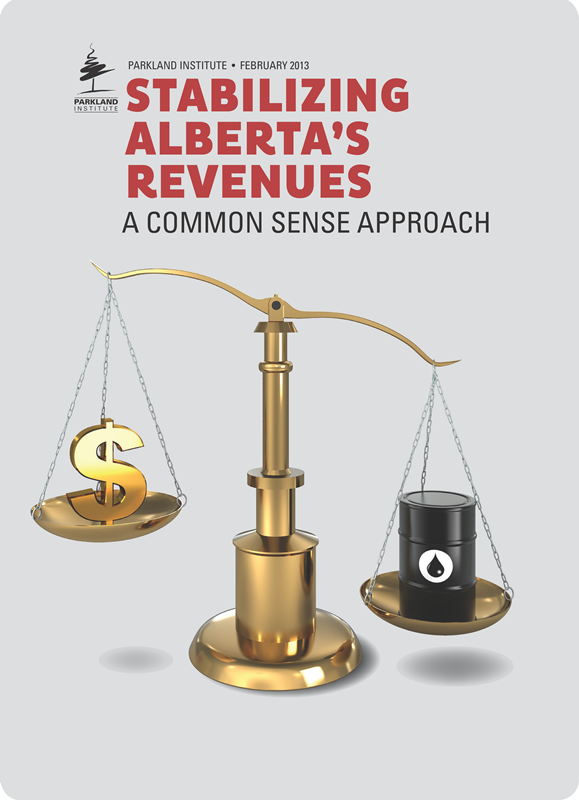 This report argues that the only workable solution to Alberta’s fiscal woes is the adoption of a set of measures employed by governments the world over as a stable and predictable means of revenue generation: taxation. Specifically, this report argues the case for increased corporate taxation and a return to a progressive income tax regime in the province. Alberta has considerable tax room. The province could collect nearly $11 billion more in taxes and remain the country’s lowest-tax jurisdiction. By the government’s own estimates, an increase in corporate taxes of 2% (on a par with Saskatchewan’s and Manitoba’s rates) would bring in an additional $840 million. Implementing a higher corporate tax rate would also help off-set the costs of infrastructure, environmental monitoring, and regulation that are insufficiently compensated by corporations operating in Alberta. The provincial government should return to a progressive income tax regime. The flat tax imposes a significant cost on the province - at least $1.8 billion in 2010 alone - and fuels the excessive inequality that harms Albertans socially and economically. Progressive income tax would also shift the tax burden, moving a greater proportion on to Alberta’s wealthy. There is considerable public support for increased and fairer taxation. A substantial number (40%) of Albertans agree they are willing to pay higher taxes to improve public services, and a significant majority (60%) agree that those with higher incomes should pay more in tax. The provincial government is out of step with the opinion of Albertans when it comes to collecting excess wealth from corporations and the rich. Higher corporate taxes and a return to a progressive tax regime would bring in substantial money to provincial coffers, stabilize provincial revenues, and garner widespread public support. Ultimately, adopting these measures would also work to build the kind of society Albertans want, by tempering excessive inequality and promoting fairness.